The Yorkshire-based manufacturer is pushing for even more export orders following its massive New Zealand deal. 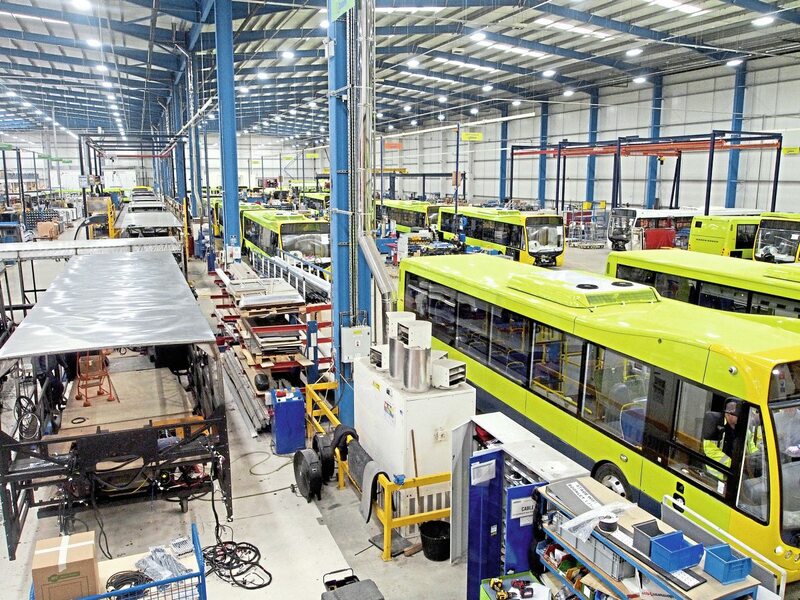 A factory packed with green buses in various states of construction is considered a good sign at Optare. 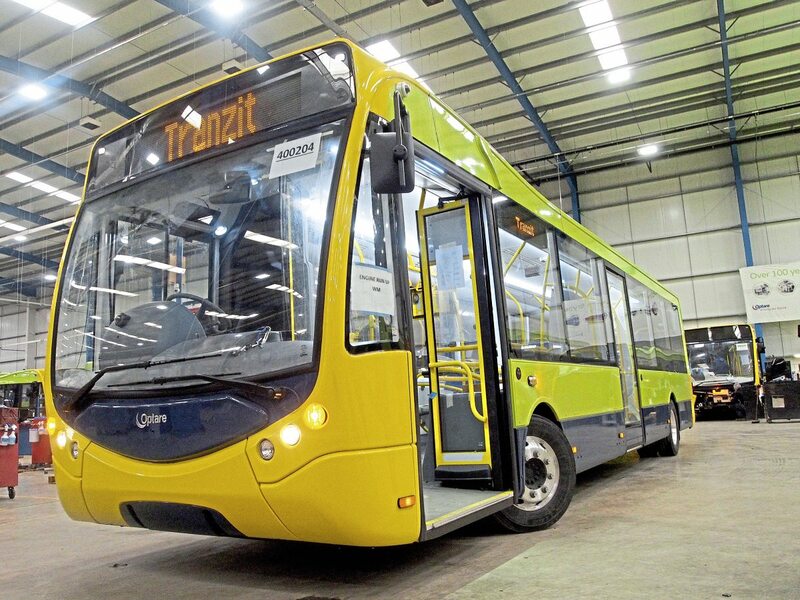 The Sherburn-in-Elmet plant is currently manufacturing £21m-worth of Solos for its 114-bus order from Tranzit Group, one of New Zealand’s largest public transport operators, which is part of the company’s focus on better expanding itself in the overseas bus market. But our conversation spreads more broadly, to cover the manufacturer’s future endeavours and views of how the industry could develop. Graham candidly set the scene in the run-up to receiving the New Zealand order: “For us, it has been very hard indeed in the last few years. Government subsidies for buses have decreased and buses for subsidised routes are our bread and butter. There is the whole issue with congestion and falling income that impacts the industry. The UK market has been in decline in the last two years and we expect it to continue.” He mentioned other British manufacturers are also finding times hard. 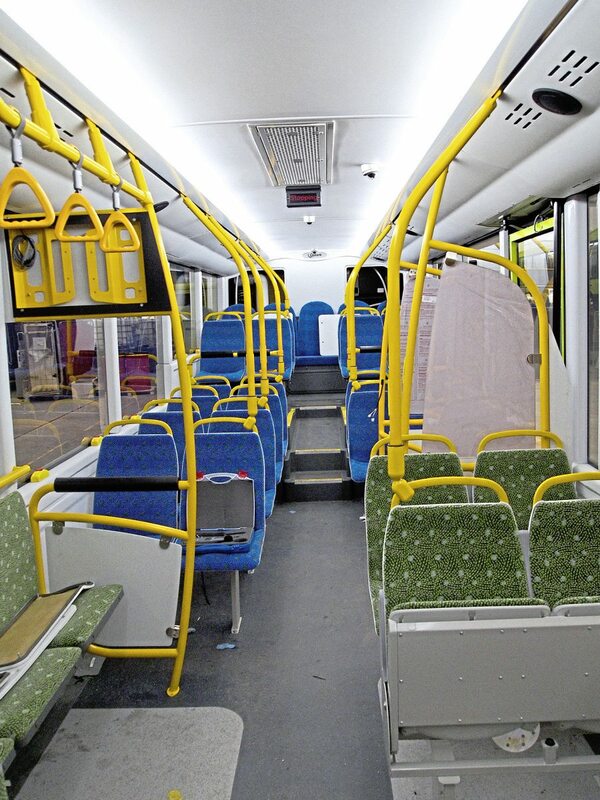 To overcome these challenging market conditions, Optare is further promoting its bespoke bus design package. 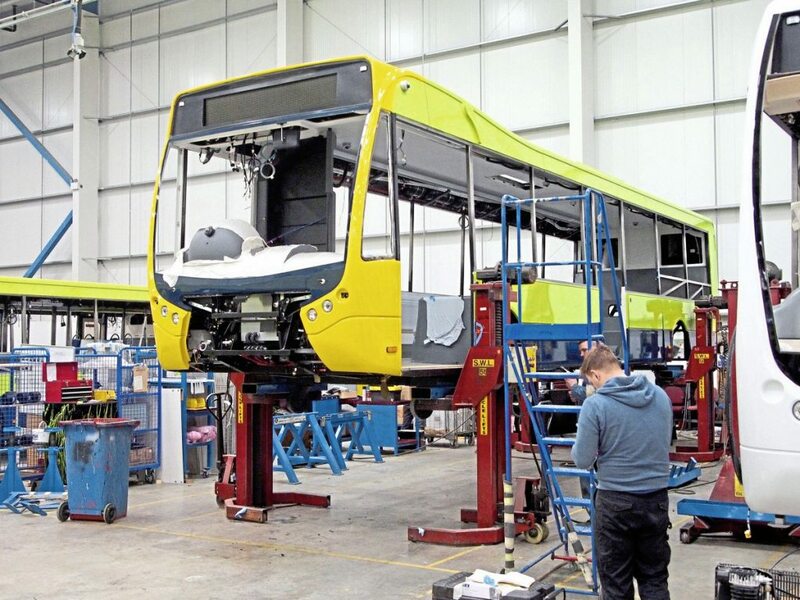 To illustrate how it is doing this, Graham gave the example of Transdev Blazefield, which has taken vehicles tailored to its needs from the manufacturer on three occasions. “We can build a product that is stylish and can meet their requirements. It’s won us business in Northern Ireland and with Translink. Bespoke is our USP, it allows us to keep going forward,” Graham said. 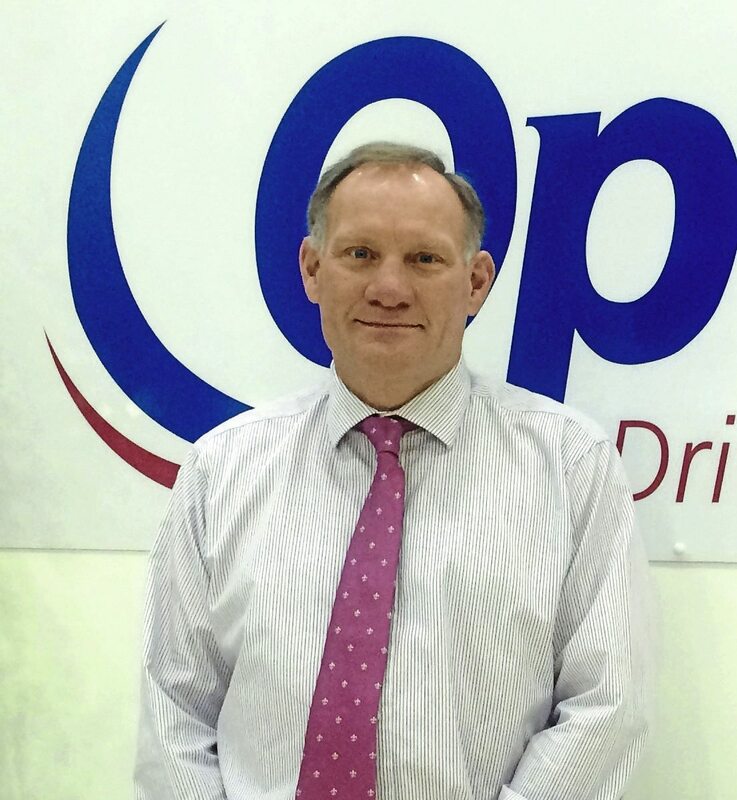 As well as providing a bespoke offering, in the face of the challenging home market, Optare is looking to do more business overseas. Last year, the company appointed a new dealer in Australia: Bus Corporation Oceania (BCO). 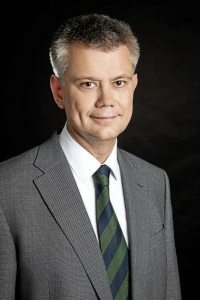 BCO is backed by Toyota and has “brought a whole new level of professionalism” to its offerings Down Under, said Robert. When it came to bidding for the tender for the 114-bus order in New Zealand, Graham said the vehicle’s light weight and the fuel savings it should achieve was a factor in the win. 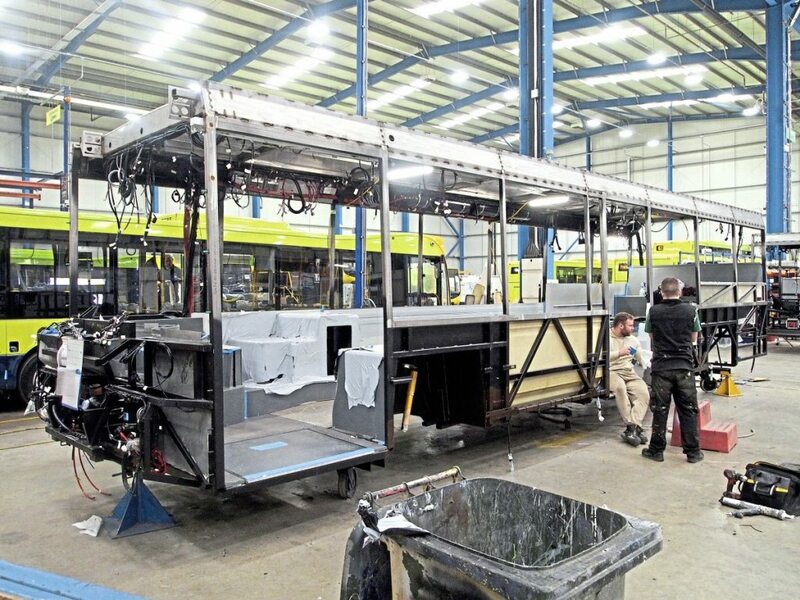 The Metrocitys are now being delivered, with the final one set to be delivered by July this year. The bespoke nature of the vehicles was another factor in being awarded the order, claimed Graham. He said: “Being a monocoque structure, not a body and chassis, this has given us a better space envelope to design with. It allows us to hang things on the structure. To illustrate the bespoke nature of Optare’s offering, Robert gave the example of Transdev’s Mainline service, which last year received 30 Versas. 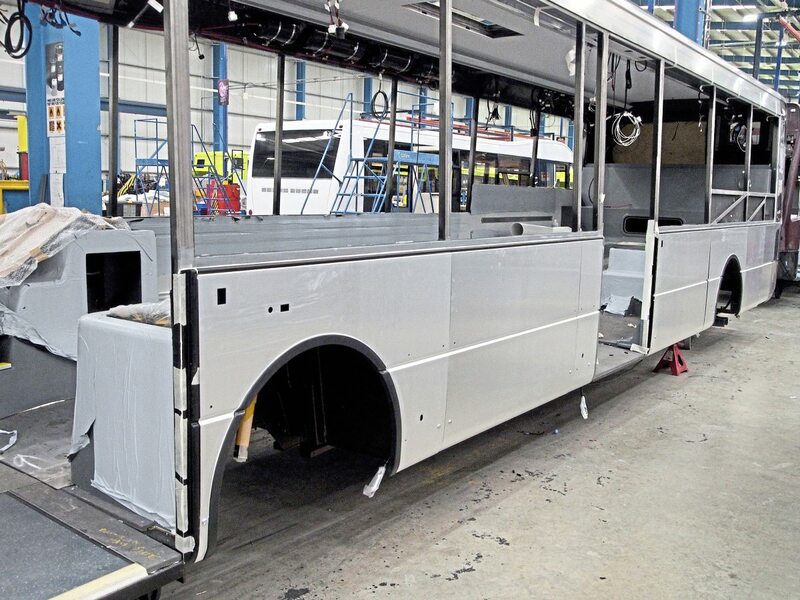 The manufacturer was able to make some minor redesigns to these buses over the offside front wheel as per the operator’s specifications. It also installed some wireless charging pads on small tables and made some adjustments to the front light panels and the bonnet to make it fit into the stylisation of the operator’s branding. So, are there any other overseas markets in which Optare will be a player? “Another opportunity we have had is the trial of a bus in Hong Kong,” said Graham. Optare is looking to sell its Solo into the Middle East too. Commenting on this, Graham said: “We are aiming to provide that size and shape vehicle to be able to feed big bus routes; tackling narrow streets and improving accessibility. These too will have a bespoke design to meet cultural requirements and to cope with the heat over there. 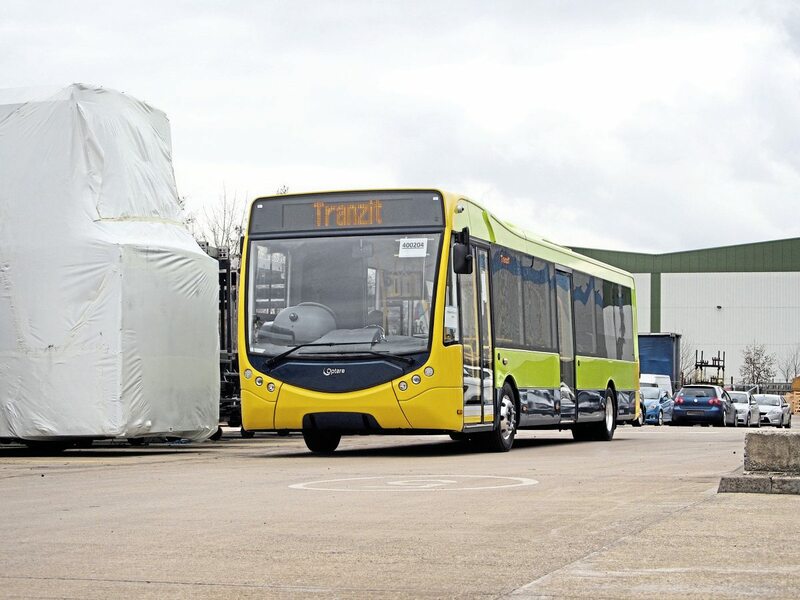 Aside from developing abroad, Optare is also focusing on its electric bus offerings. Graham said there are already considerable numbers of its electric models in service in Europe. The Metrodecker is sold on being the lightest in its class and the electric version is intended to maintain this advantage. The diesel version was launched in 2016. The EV version has been in service since summer of last year. The double-decker is also running on the streets of York and Leeds, with First trialling it. Robert said it also went to London just after Christmas, entering operation on Go-Ahead’s route 36. 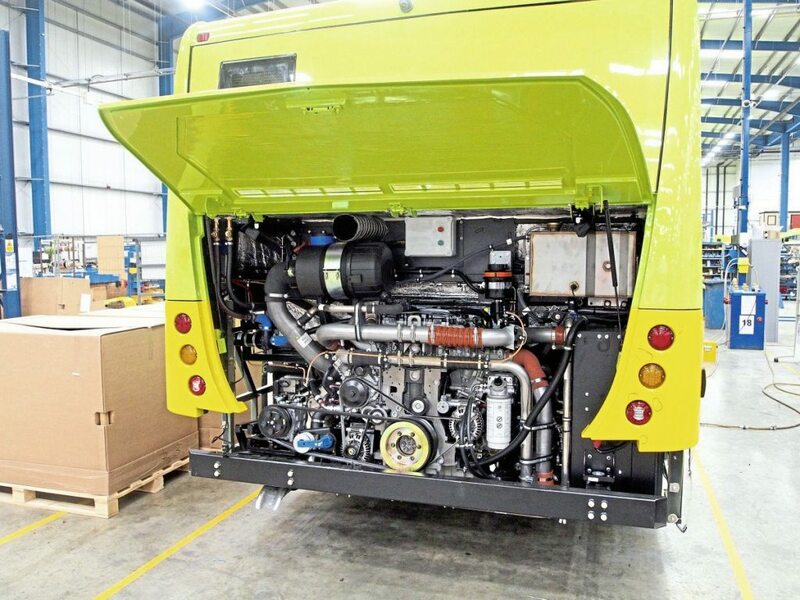 Despite this focus on electric power, Optare is to continue with the ongoing development of its diesel powertrain, with fuel economy the biggest driver in the design of this technology. Whether it is electric or automated vehicles, to make sure Optare is ready for the future, Ashok Leyland, its Indian parent company, has cleared Optare’s debts. 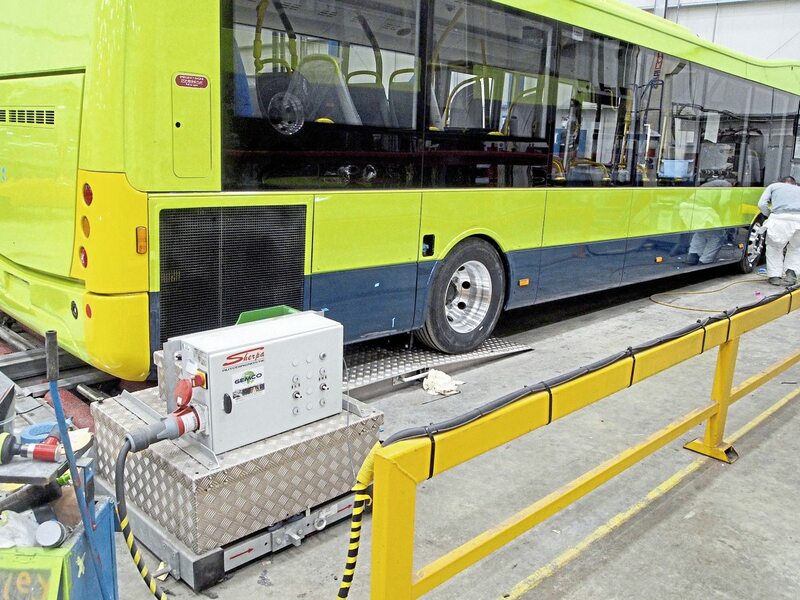 The owners consider the Yorkshire manufacturer to be a “centre of excellence” for developing and manufacturing electric buses and this financial backing is considered a significant endorsement. The businesses are aligning their development of vehicles, with the two companies expected to be fully aligned in the next two years. “This is going to be a massive benefit to us,” said Robert. The company has been at its Sherburn-in-Elmet site since 2011, relocating from its previous Leeds facility. 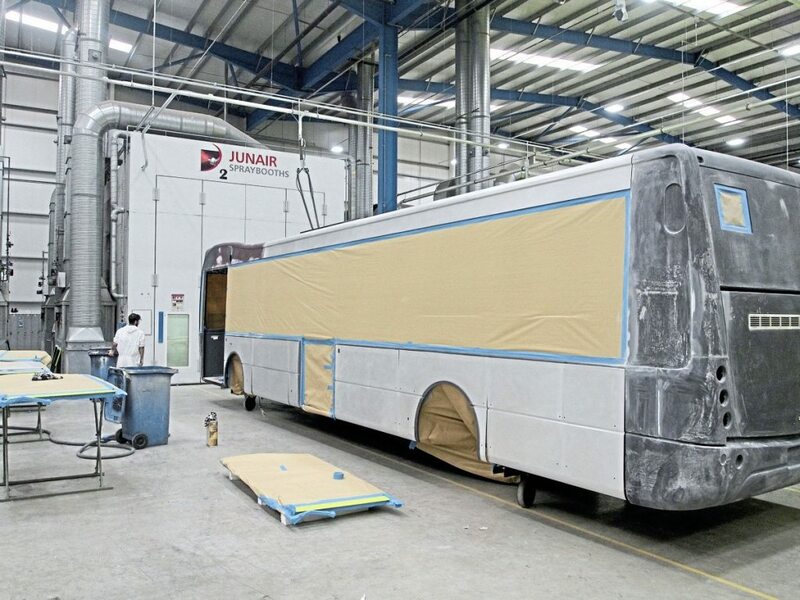 The factory is currently building eight vehicles a week, half of which is for the export market.